Two people were taken to Palomar Hospital in unknown conditions after a roll-over crash on Del Dios Highway in Escondido. 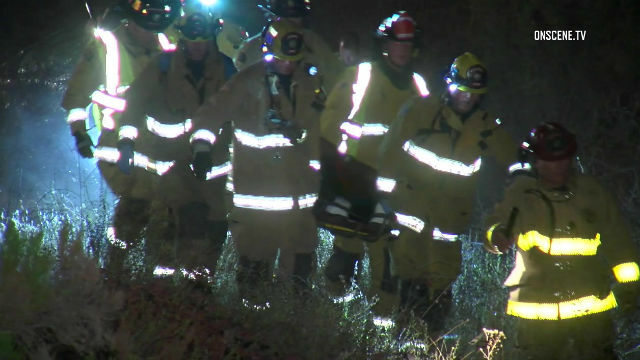 Escondido and Rancho Santa Fe Fire Departments responded to reports of a roll-over crash at about 12:30 a.m. Sunday on Del Dios Highway, just east of Elm Street. When they arrived on scene, they found the aftermath of a two-vehicle collision, with one car down a steep embankment. The cause of the collision was unknown. The California Highway Patrol is continuing its investigation.